Do you have a plan to start a job with the entertainment products? And the inflatable slides with water slides are the best things for you. This business is a very profitable job, since it can give you an extra profit and help you to make good money. Here some useful tips how to develop a rental business using inflatable slides. If you follow them, success is guaranteed! There is a big competition on the market. Therefore, you should have unique and engaging inflatable slides. For that reason, you need to rent such slides which can attract their attention, actually the attention of their children because the kids are the main users of these toys. 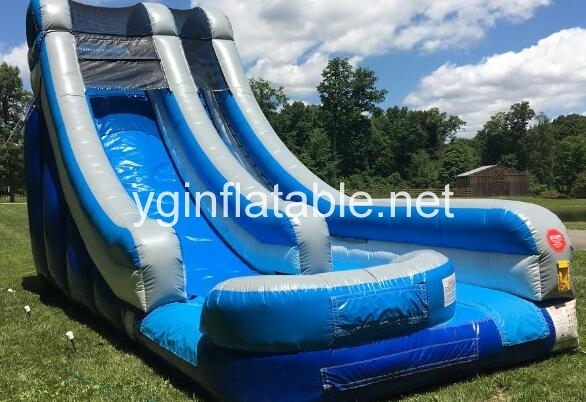 Therefore, you need to procure high-quality and eye-catching inflatable water slides that will out you from your competition. The next issue, that follows from the previous tips, is to find a good supplier for these slides with pool. There are lots of different suppliers on the market all over the world. 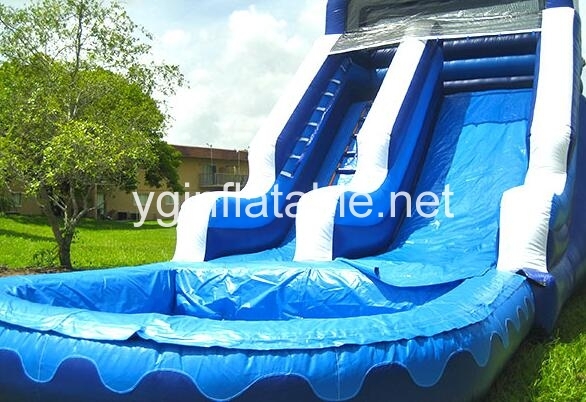 They offer a wide variety of water slides and other inflatable toys for kids. 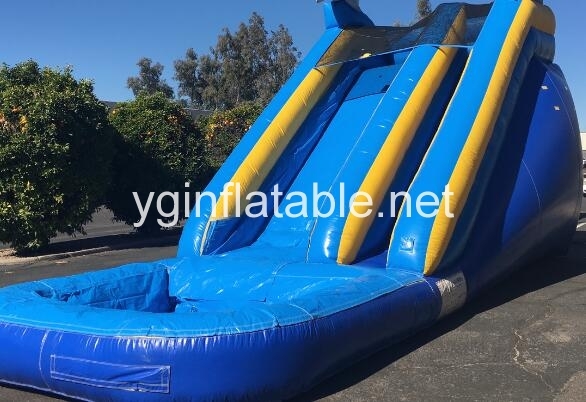 However, it is suggested that you contact those suppliers for the inflatable products who give a 3-year warranty for their products. Also, the good suppliers should provide 24/7 free technical support and give the possibility to their customers to order slides in custom sizes as well. The best quality must be your priority, too. Don't purchase those slides which are produced from the low-quality materials. For instance, clear PVC and tarpaulin are such materials that can withstand all bad weather conditions and last a long time. In addition, these materials are waterproof, fire-retardant and environmentally friendly. Today, one of the best ways to get your customers' attention is to use social media. In connection to a descriptive website that will deliver a fantastic experience through pictures of other people having the exact experience of what you are selling. Because sliding down an inflatable party game is an exciting and fun experience; at all ages; words fall short when trying to express it. Catching the eye of the decision makers, when it comes to renting an exciting and original alternative to entertain the little ones is the target; however, their decision will be made as soon as they see other little ones having the experience they want for their own rascals. The most effective way to get your rentals in the "top of heart" of your customers is to create an innovating and emotional social media campaign, which will give you high results. Remember that social media will work only if the aspiring buyers will need to easily and quickly transfer themselves into a website that will provide that safety feeling that comes from having the complete information and getting to know that the organization providing fun for their little ones is one that assures quality, credibility and excellent customer service on all fronts. And now, you should use the latest tools to slide into the adventure of getting your inflatable slides into people's lives! So you’d better take a plan on your inflatable rental business.